It is no secret by now that we dig electronic music here at ThinkMuzik. Many artists and bands shun electronica music for the fact that an artist doesn't need to know how to play an instrument to succeed at making electronic music. This is sad because, especially in this computer era, electronic instruments and devices can be used to make extraordinary music. The melodies produced this way simply cannot be matched by any live instrument. In that regard, live instruments are no better than computers, and vice-versa. Citing major influences Celldweller and Blue Stahli, American artist The Luna Sequence produce electronic, synth-laden rock-based music that is nothing short of breathtaking. 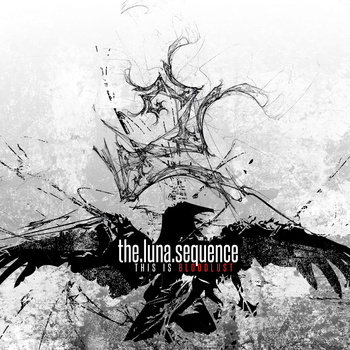 The Luna Sequence uses live drums and the occasional computer-modified guitar chord, but offsets that with samples, melodic keyboard synths, and switchboard tinkering. The sound achieved through this process is much like the aforementioned Blue Stahli, but lighter, more dynamic, and vocal-free. The tempo of the music is sometimes strong like a rock anthem and sometimes slower, similar to electronic ambient music. I have raved about this band here before. The Luna Sequence is, in my opinion, one of the best electronica artists around. The production quality is astounding, as every note and every sample can be heard clearly. This music is also varied in that a casual listener can listen to the disc back to front three times straight and not get bored with it. As a matter of fact, each time I listen to it, the sound impresses me more and more. This is hard to do. Even if you are not a true fan of electronica music, The Luna Sequence offers something many can enjoy. Fans of modern rock, symphonic/synth rock, metal, and pop could conceivably become fans. "This is Bloodlust" is that good an album. Check out the full album stream via The Luna Sequence's bandcamp page below. Thanks for listening and, as always, enjoy!